Another year of exciting Twnety20 International cricket has ended successfully. Afghanistan was one of the emerging T20 teams. In 2018, they triumphed over Zimbabwe, Bangladesh, and Ireland in T20Is. However, Pakistan and India remained the most successful T20 teams of 2018. Since there are just 20 overs per side, it is not at all easy to score a century in T20 match. One needs to score with every ball faced in order to score a century. And in 2018, only a handful of batsmen achieved this milestone. So, here in this slideshow, we will look at 5 batsmen who scored a century in T20 international cricket in 2018. 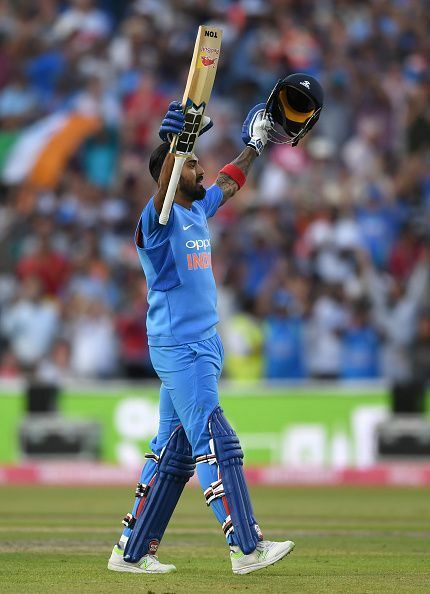 KL Rahul is usually known for his patient displays in Test cricket, and he is one of the important squad members of the Indian National Team. However, IPL has changed everything because of which, players play all the three formats (Test, One day and T20) simultaneously. Rahul made his T20 debut against Zimbabwe in 2016. He has represented India 25 times in T20 international and has scored 782 runs with a batting average of 43.44. Rahul scored his first T20 international century against West Indies in 2016. Rahul has scored 4 half centuries and 2 centuries in T20 Internationals. The 26-year-old became the first Indian batsman to score T20 international century in 2018. He scored an unbeaten 101 runs against England at Manchester with a strike rate of 187.03. He faced 54 balls and smashed 10 boundaries and 5 sixes during his innings. India won the match by 8 wickets.